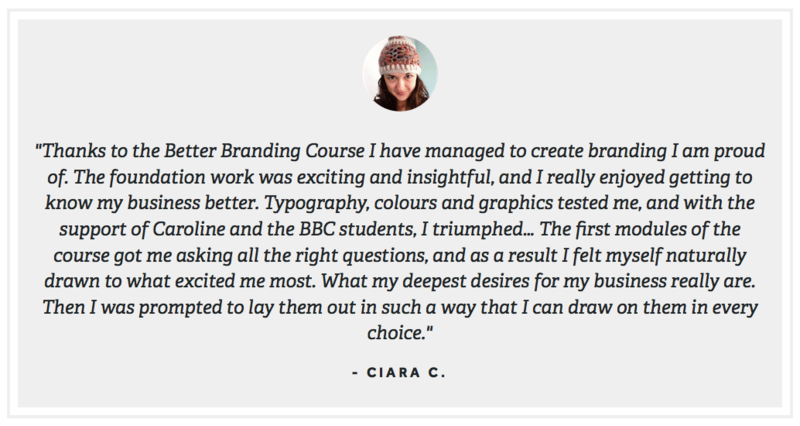 What if you could create a memorable, professional brand for your business without paying thousands to hire a designer? 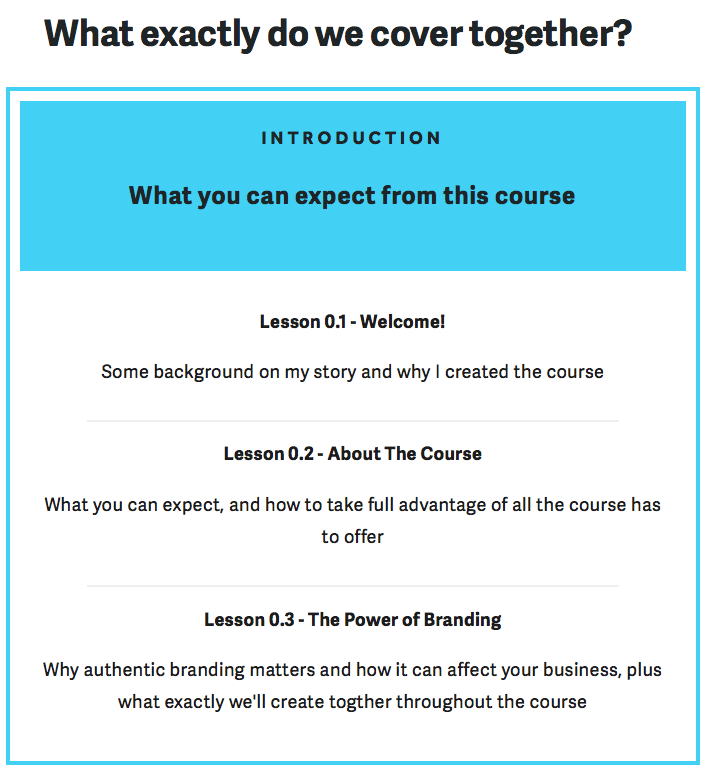 What if you created that brand yourself? No more feeling STUCK every time you want to move forward with a new project or business idea. No more crossing your fingers that the right designer is available at the right time to take on your project. 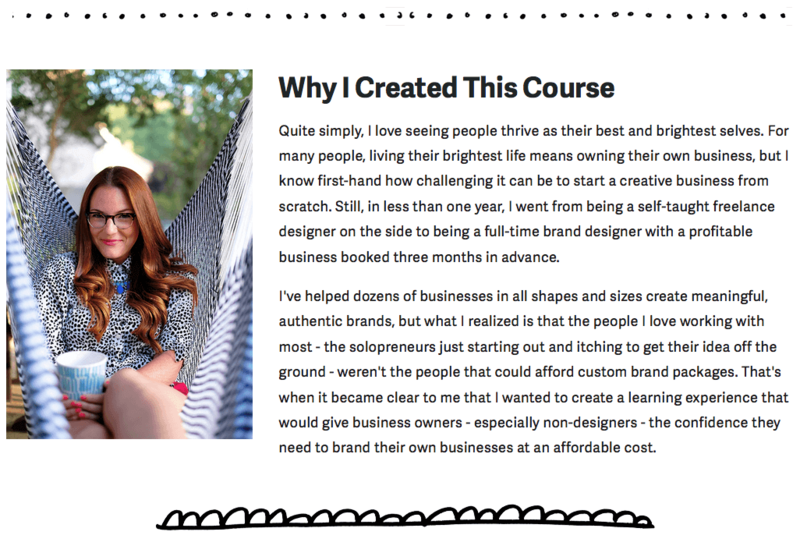 With this course, I teach YOU to become the designer. 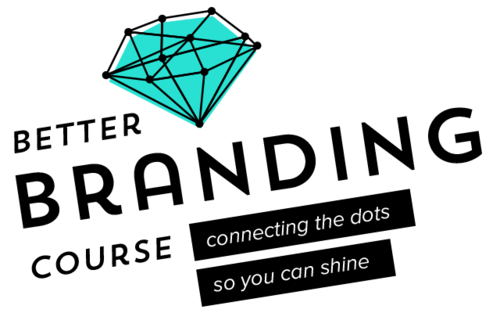 The Better Branding Course is a self-paced, online video course that will give you the freedom to bring your ideas to life. 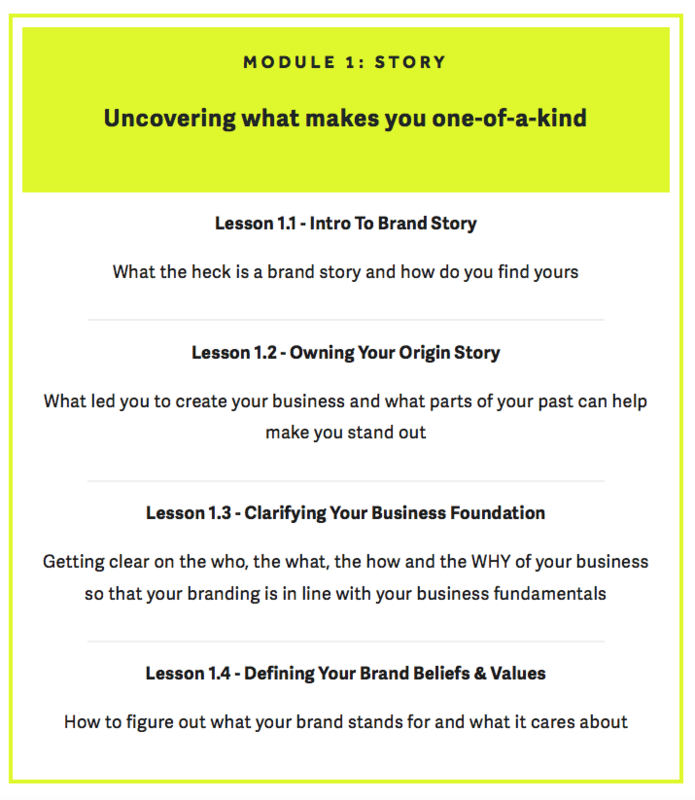 I’m going to teach you my unique process for uncovering your brand story, turning that into a strong brand concept, and finally, translating that concept into beautiful visuals that authentically convey the right tone for your brand. I want to help you build a business that supports the life you dream of. 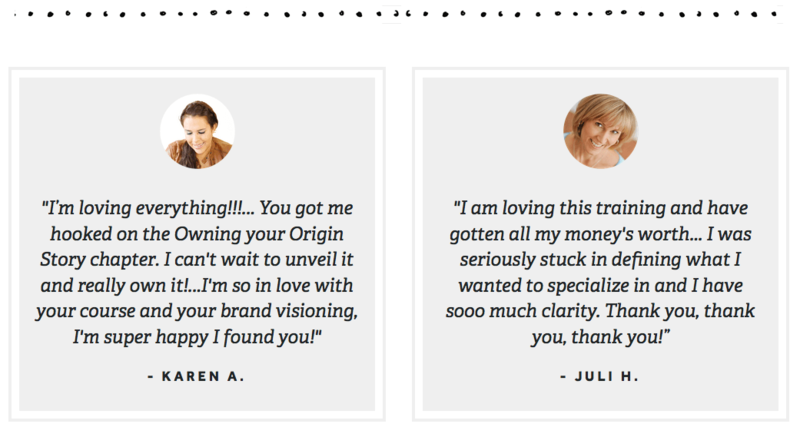 And beautiful, authentic branding is your ticket to that. Let’s get started, shall we? 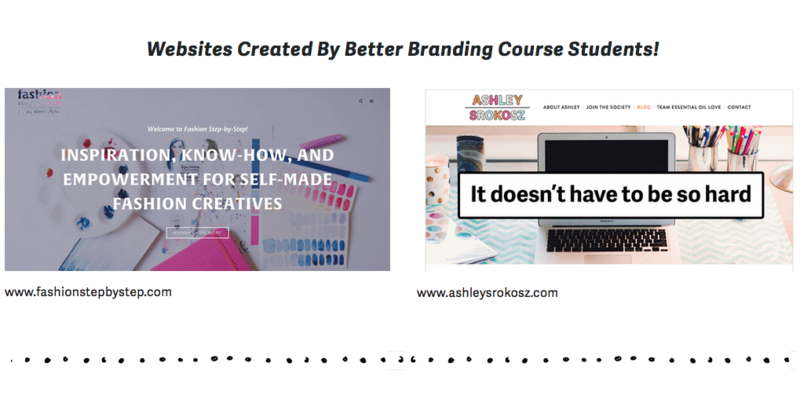 In an effort to make this course as accessible as possible, I developed the content so that anyone could take advantage of it, regardless of their access or knowledge of design programs like Photoshop. 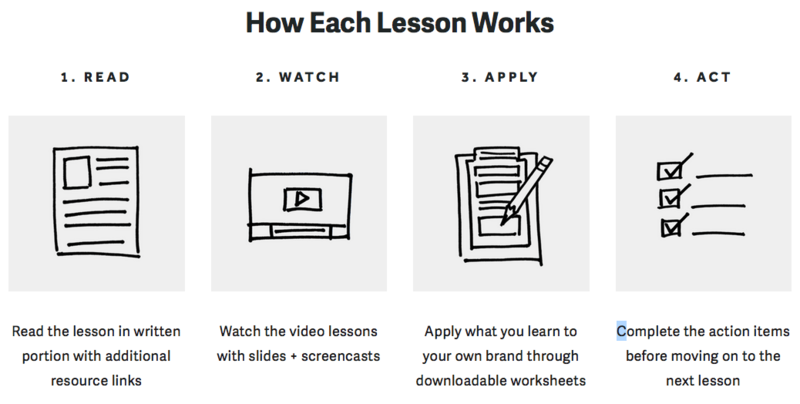 I go through each step of the creation process using not only Photoshop, but also free tools like Canva, Google Slides, and Google Drawings as well. As long as you have access to ONE of the following, you can take full advantage of this course!